Due to its many lakes and waterways, Arkansas is considered prime eagle watching territory in winter. 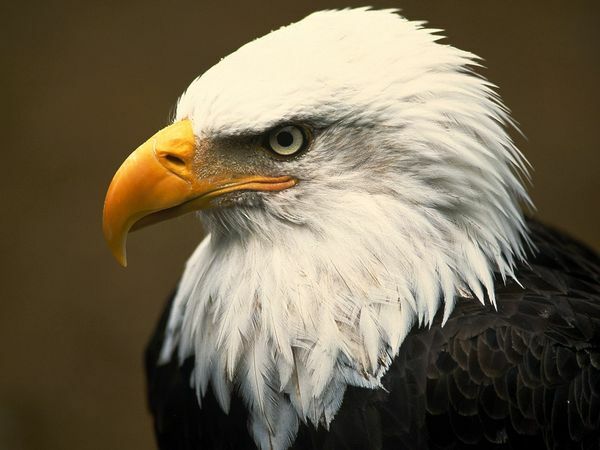 Some bald eagles stay in Arkansas year-round, while others migrate here from October to as late as mid-March. Whether you’re trying to catch a glimpse of our national bird, or another raptor, you can find many opportunities in our fabulous state parks, three of which are located within miles of Tiffany’s Bed and Breakfast. DeGray Lake State Park offers eagle tours nearly every Saturday and Sunday during the winter months. A park interpreter will take you out on a pontoon boat in search of eagles, osprey, loons, herons, and any other bird that might wish to be the star attraction for the day. Bring binoculars if you have them (your guide will have a few to share) and dress warmly as the lake can be much colder than on land! Eagle tours are $9 for adults, and we will be happy to make reservations for you. On January 25-27, 2013, DeGray Lake will be hosting the 34th annual “Eagles Etc.” This is a fantastic way to get up close and personal with several birds of prey from the Little Rock Zoo, as well as falconry exhibitions from a master falconer, in addition to a possible live release from Raptor Rehab of Central Arkansas. More than a dozen eagle tours will also be offered throughout the weekend. As usual, the eagle tours will be $9 for adults, but most of the other programs will be free. Eagle Watch Lake Tours are also offered at Lake Ouachita State Park , and Lake Catherine State Park will be hosting a “Bald Eagle Bonanza” January 18-20, 2013. Come experience our beautiful state parks, and learn why Arkansas is called “The Natural State”!